ah, another week that josh had off work = another trip to greektown for lunch. 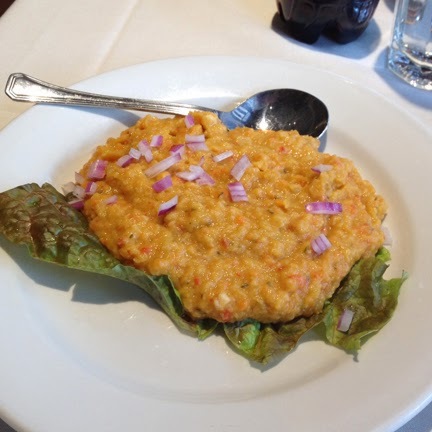 this time, we headed to an area staple : pegasus restaurant & taverna. pegasus opened in 1990 (woah!) with the aim of "educating diners about the delights of greek cuisine" and featuring a menu "comprised of true mediterranean cooking that our families grew up eating & we are proud to serve our guests." i'm on board! split pea, fava bean & roasted red pepper puree w/ virgin olive oil. a break from the usual hummus ... and overall, quite tasty. grapeleaves stuffed with rice & spices. 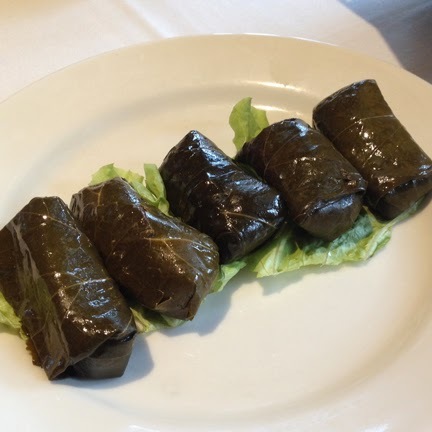 i always love dolmades & these were a perfect version. a super classic greek salad. you really just can't go wrong. everything was fresh and delicious, just how i like it. 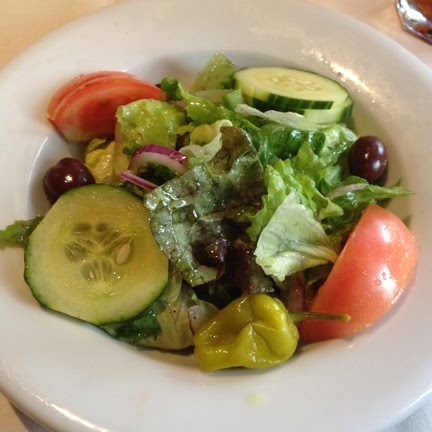 with so many options in greektown, pegasus is a fab contender when choosing a place for lunch or dinner. there are plenty of other vegan items on the menu, as well. so definitely worth a visit to this chicago staple.